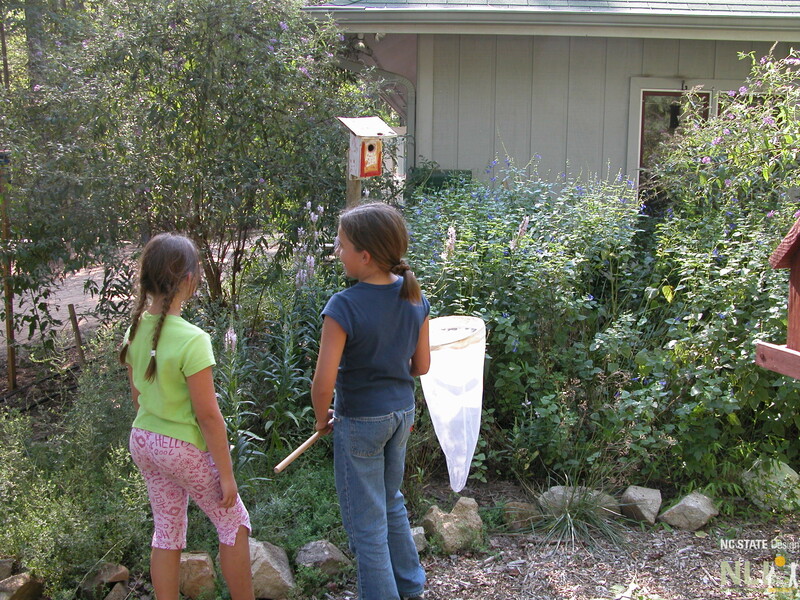 There are many ways for child care centers, schools, and homeowners to create exciting back yard habitats to attract wildlife—birds, butterflies, insects—while providing a healthier, more interactive learning environment that excites young children’s natural curiosity. A diverse outdoor environment habit offers countless opportunities to enrich classroom curriculum: literacy and writing skills through stories and journaling; math skills by classifying, sorting and counting the types of creatures found outdoors; and science through the study of plant and animal life cycles and ecosystems. A place to raise their young. For more details about those four aspects of wildlife habitats, we refer to the National Wildlife Federation and their Garden for Wildlife website. They have many helpful resources and recommendations on creating a thriving habitat for wildlife. For easy-to-grow plant recommendations for children’s habitat gardens, see the NLI’s two lists of butterfly and bird attracting plants ideal for children’s gardens, attached at the end of this post. 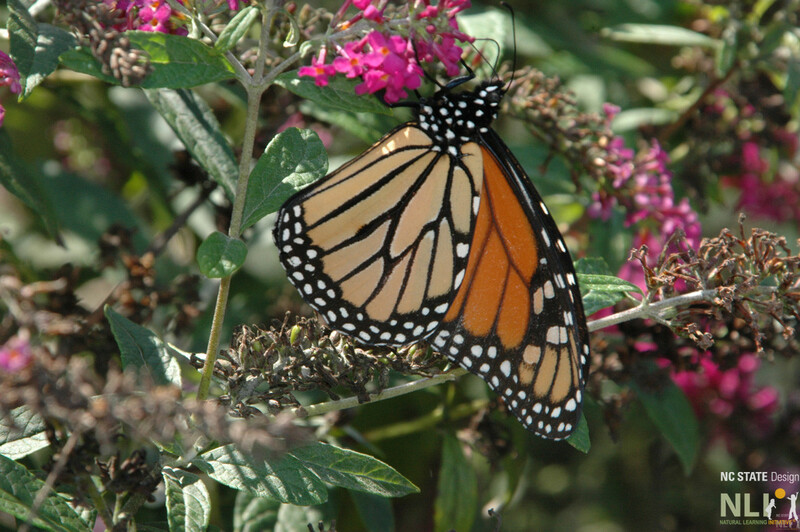 A monarch butterfly feeding on a butterfly bush. Photo courtesy of Dr. Dennis Werner. 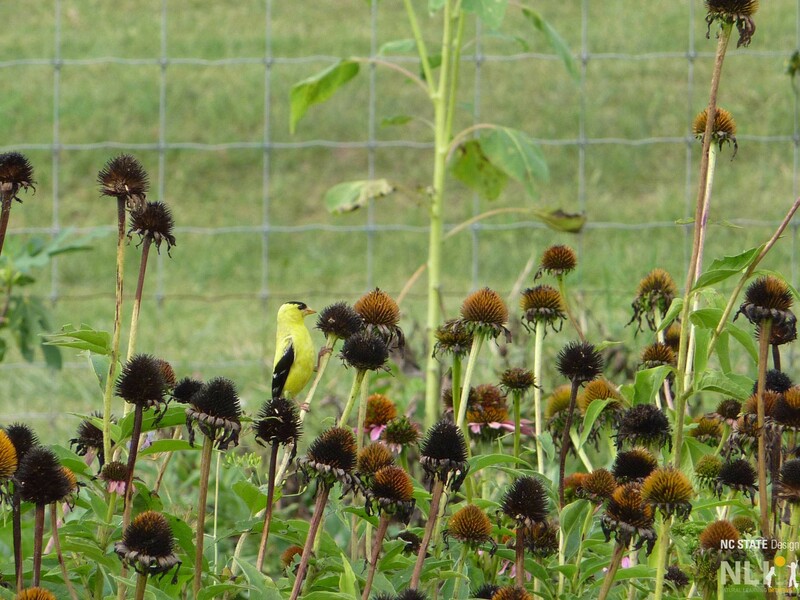 A goldfinch enjoying seeds from the spent blooms of purple coneflower. Photo courtesy of Rachel Forehand. Information about creating bird-friendly yards, school yards, apartments, neighborhoods, and country homes. Top Ten Easy-to-Grow Perennials and Shrubs for Attracting Butterflies and Hummingbirds. Natural Learning Initiative Handout. Top Ten Easy-to-Grow Perennials and Shrubs for Attracting Birds to Children’s Gardens. Natural Learning Initiative Handout. For more on creating butterfly gardens, see the Creating a Butterfly Garden Green Desk post. For a how-to post on growing a gourd birdhouse, see the Growing Gourds for Birdhouses Green Desk post.